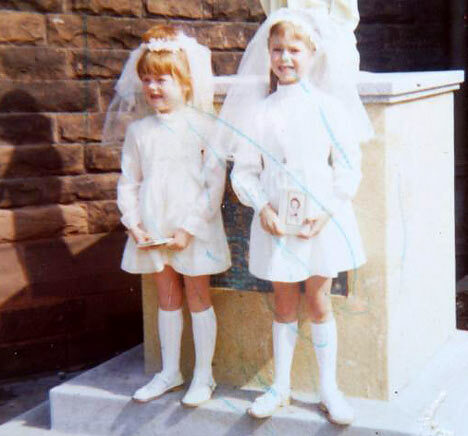 Place of birth: Allerton, Liverpool, England. 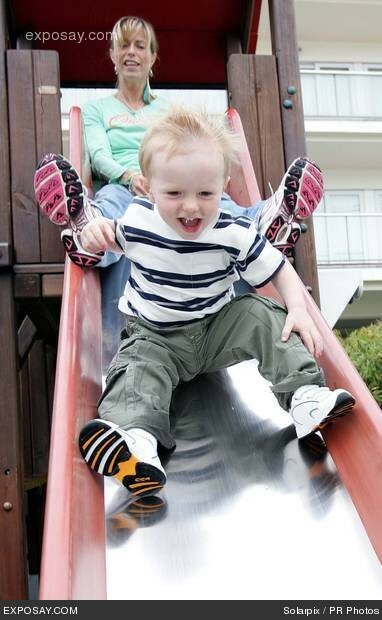 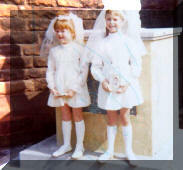 Education: Notre Dame Catholic High School, Everton Valley, Liverpool -11-18 years. 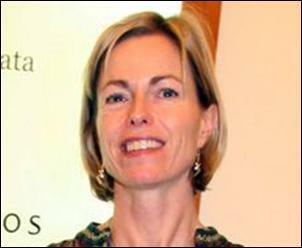 Studied: medicine at the University of Dundee, in Scotland. 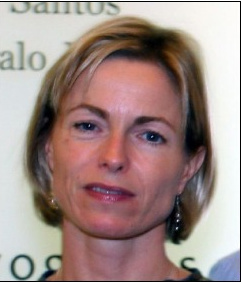 She initially specialised in gynaecology but later changed to become an anaesthetist. 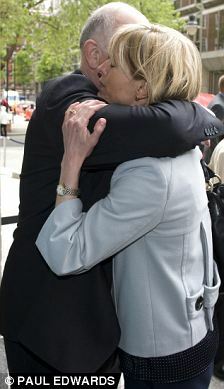 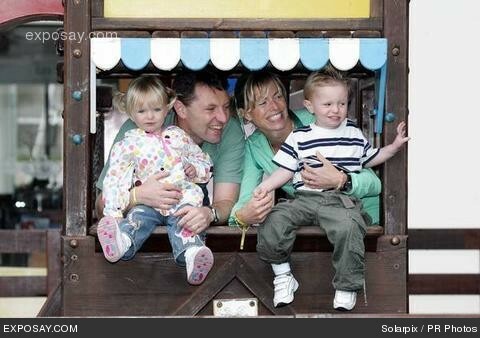 Met Gerry McCann: at the Western Infirmary in Glasgow, Scotland. 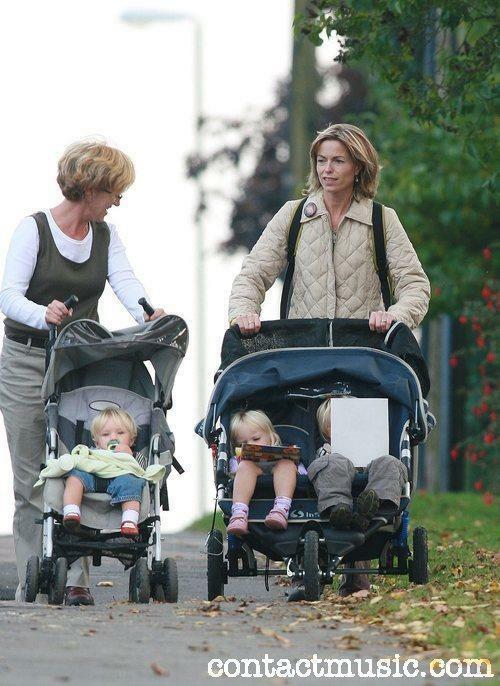 Employment: P/T GP in Melton It is reported that she work as a GP because the hours would more suitable and flexible to arrange around a family. 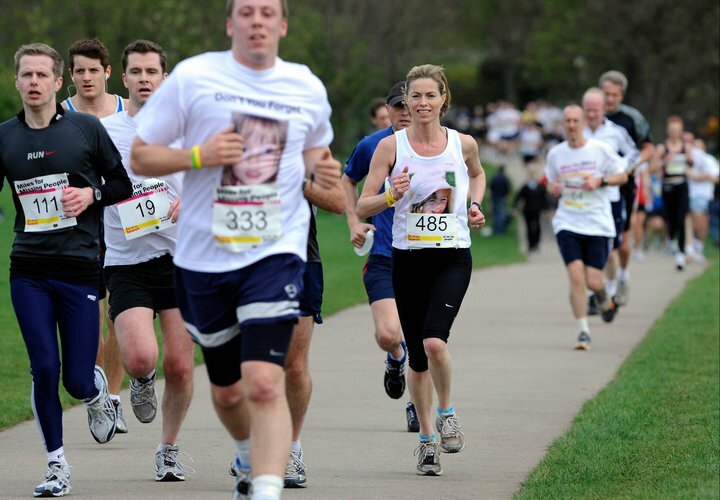 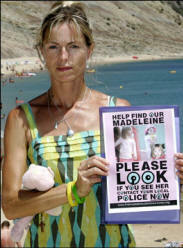 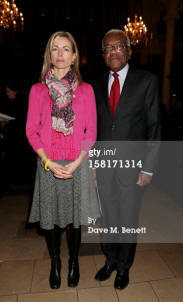 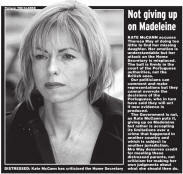 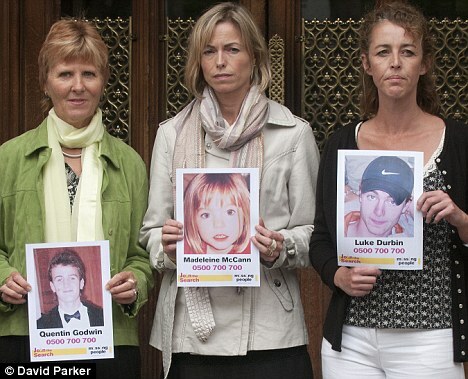 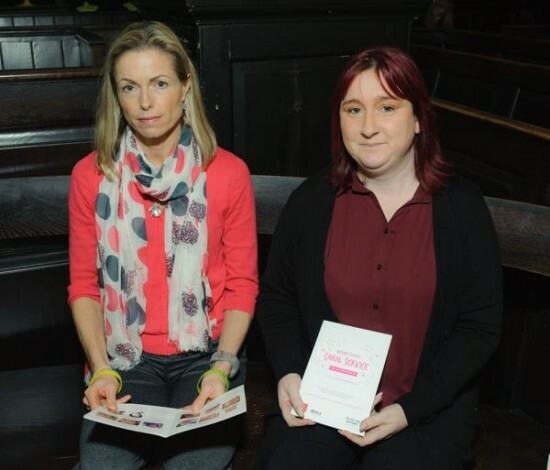 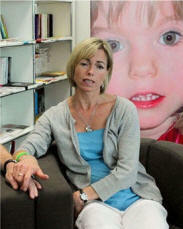 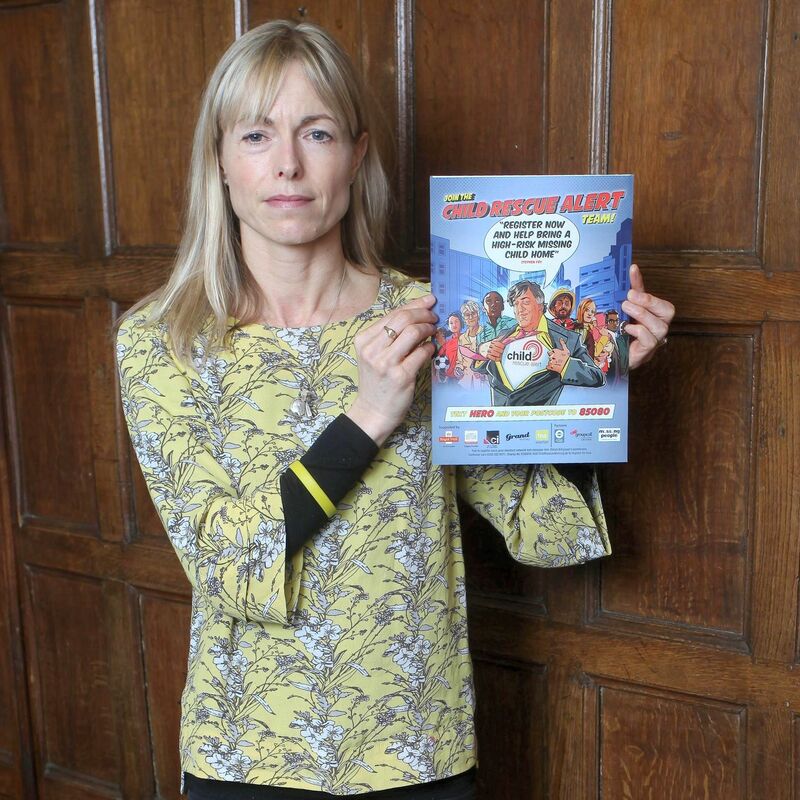 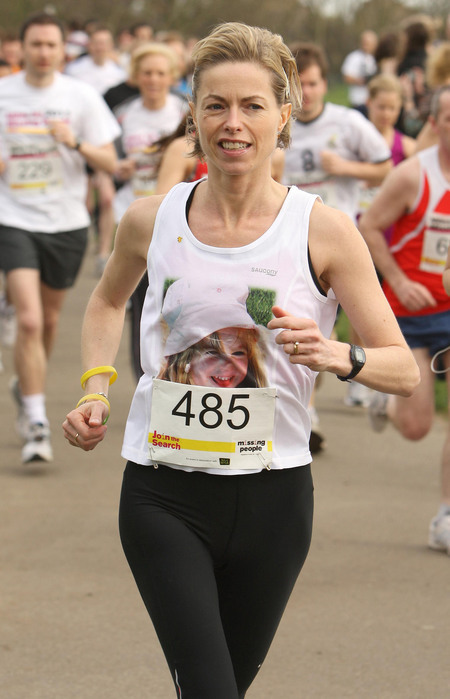 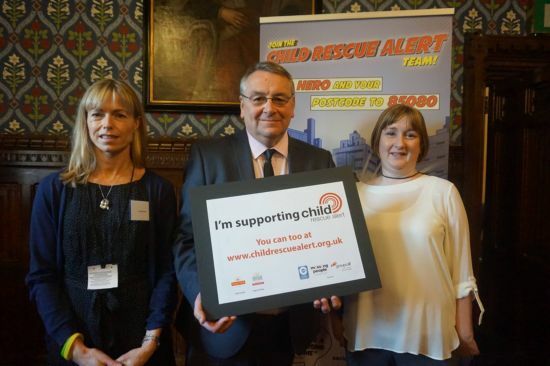 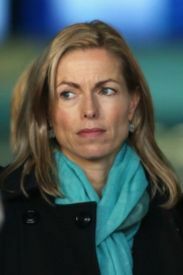 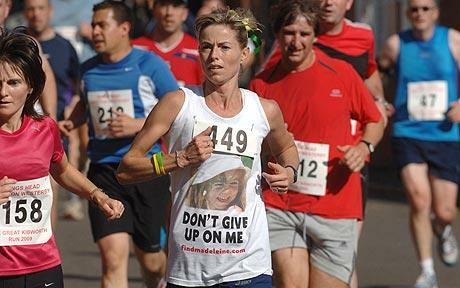 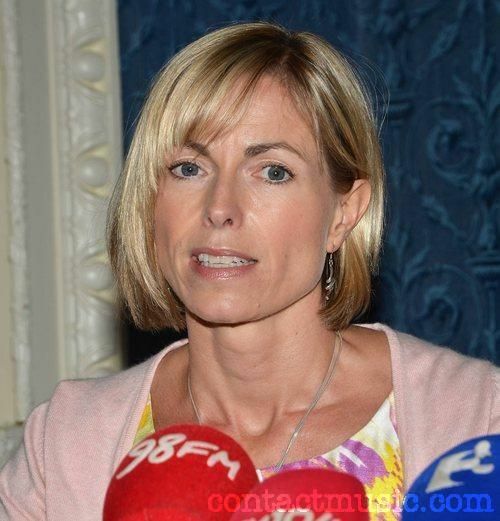 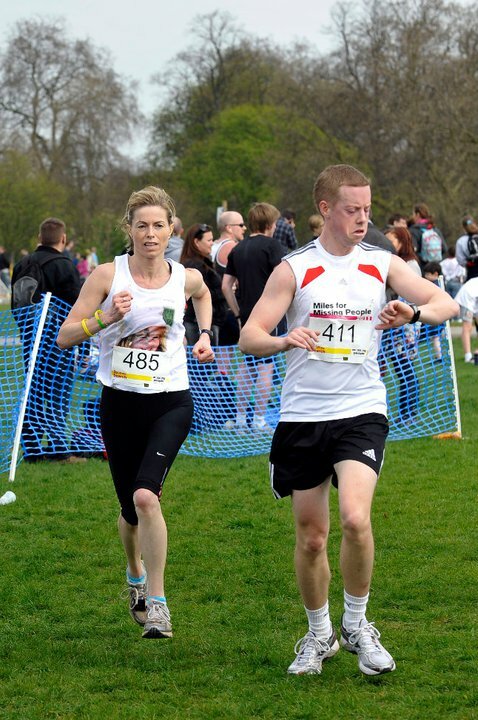 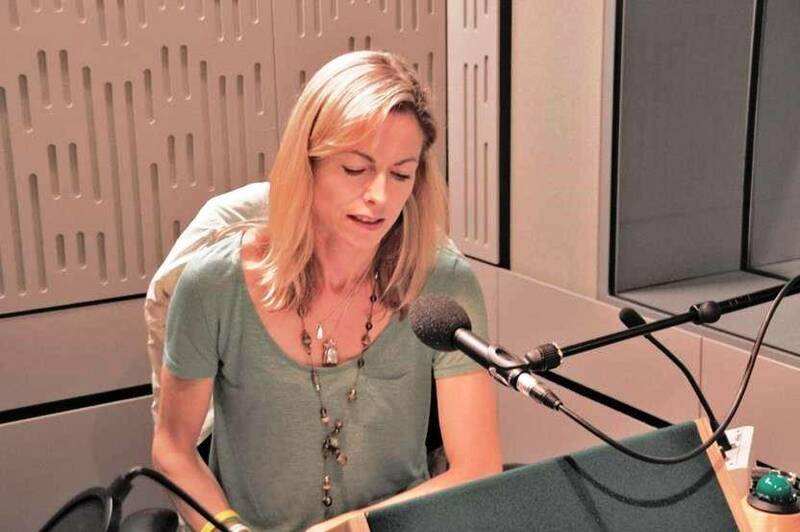 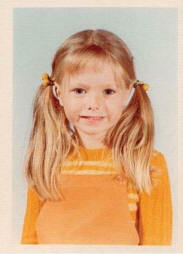 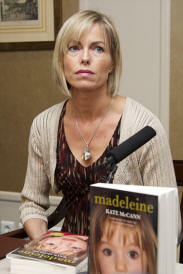 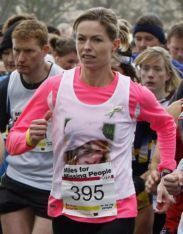 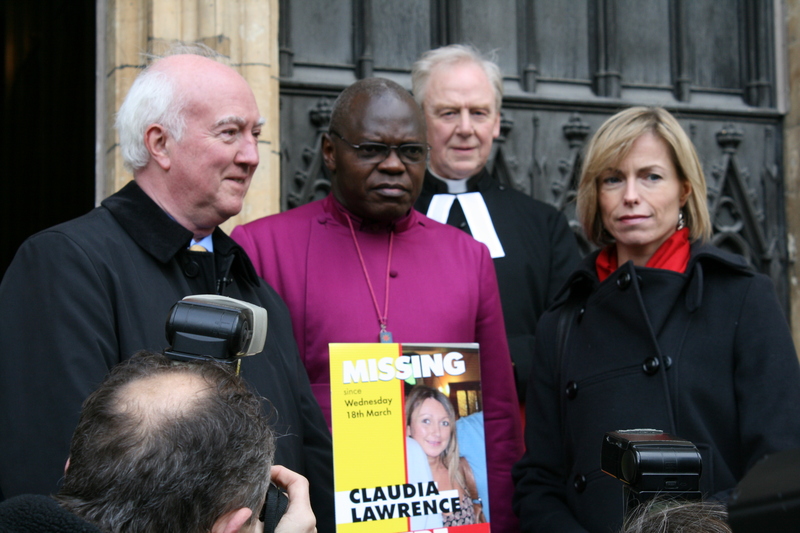 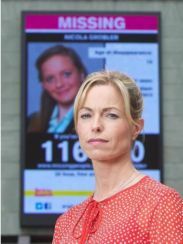 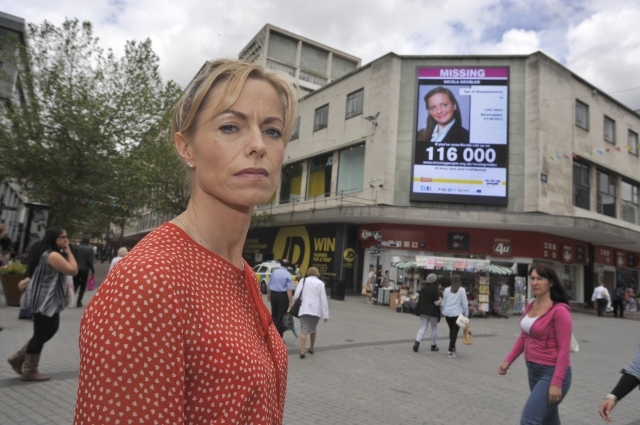 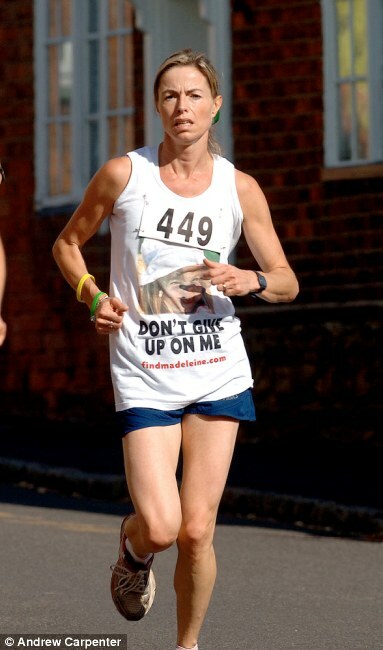 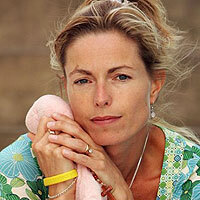 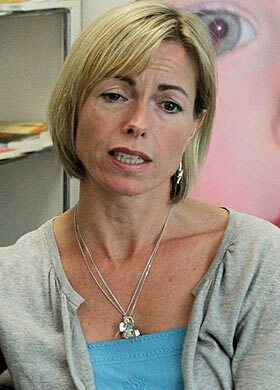 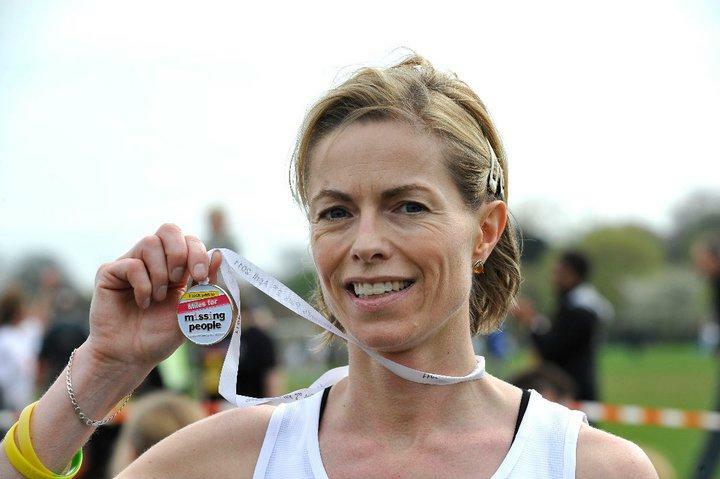 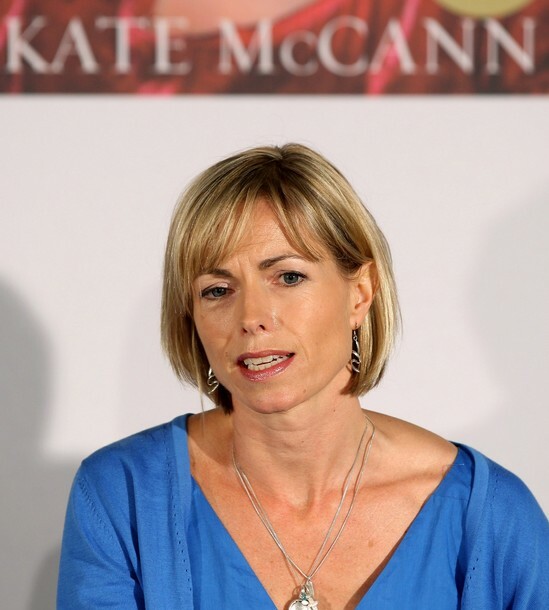 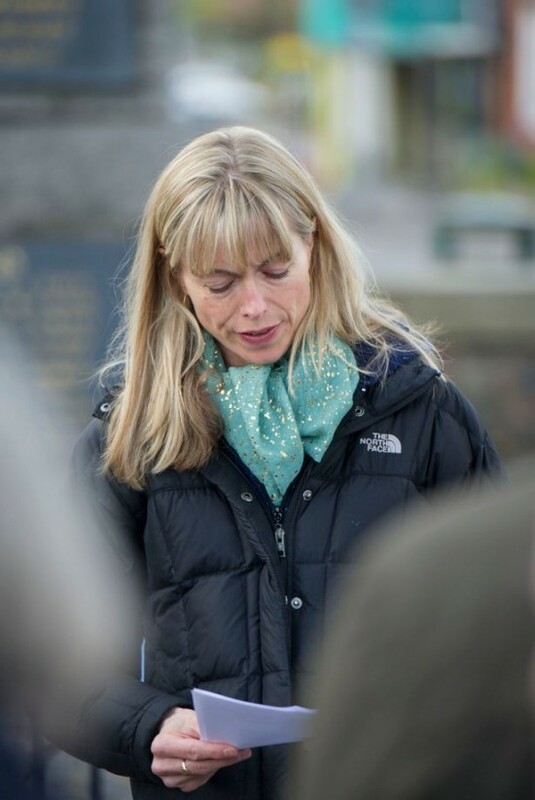 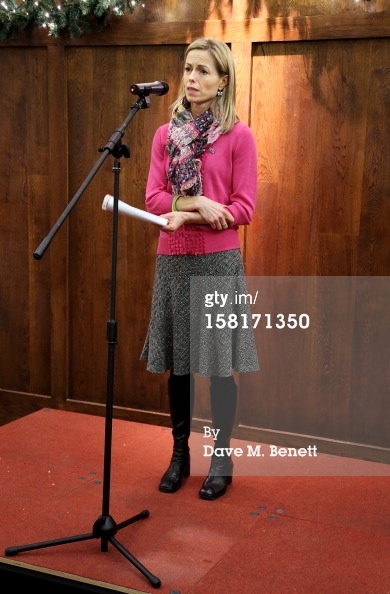 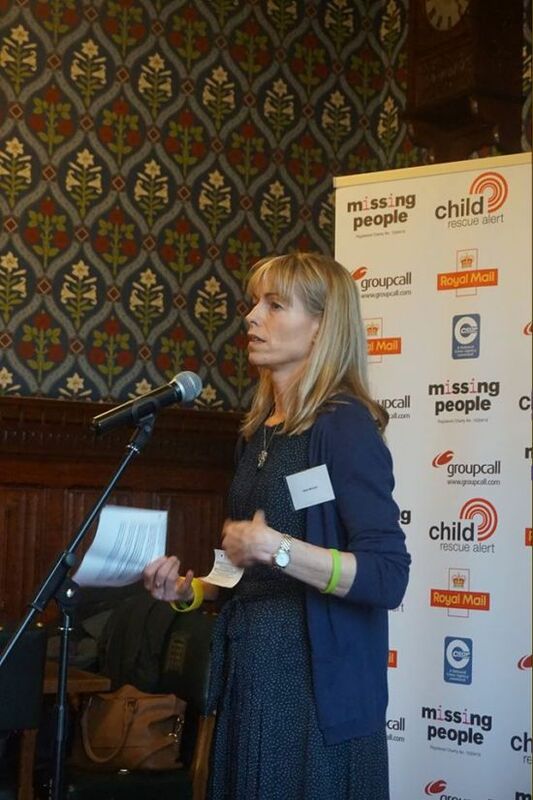 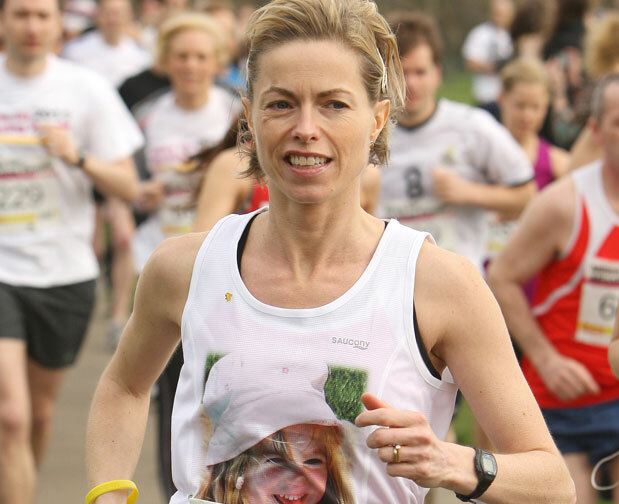 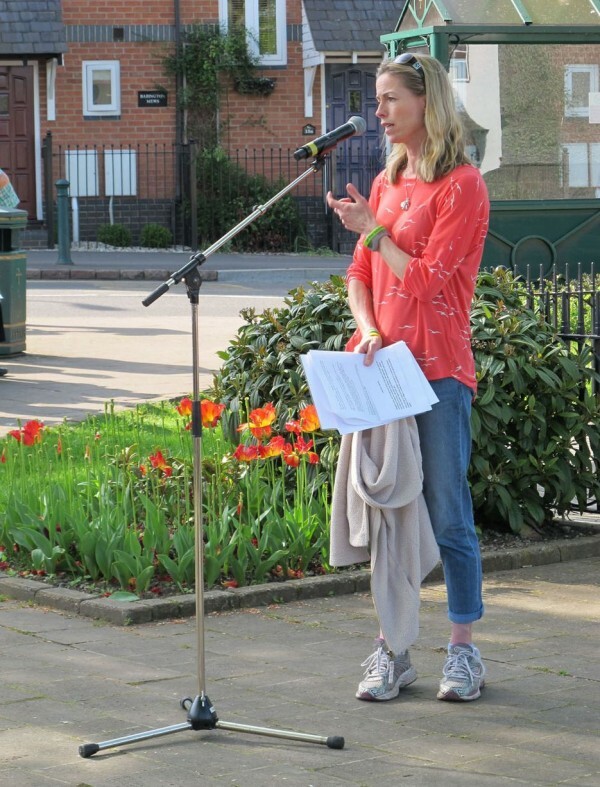 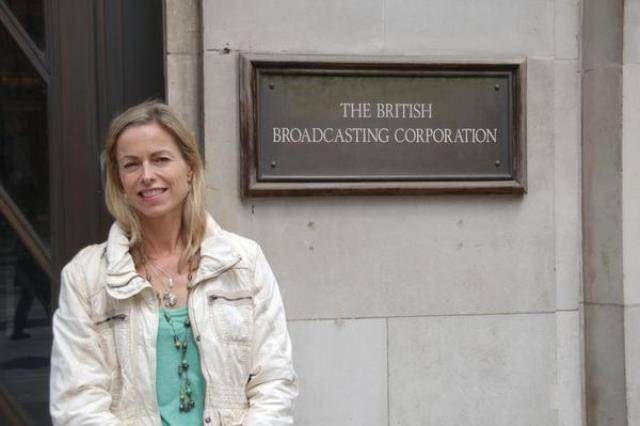 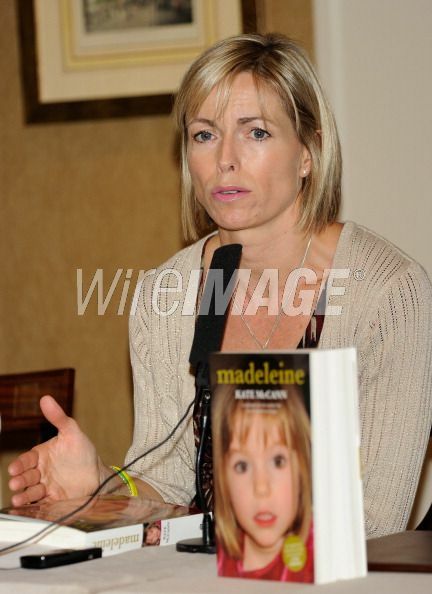 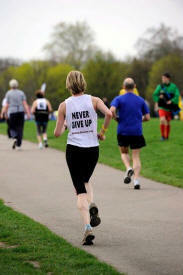 Interview with Kate McCann, Ambassador, Missing People. 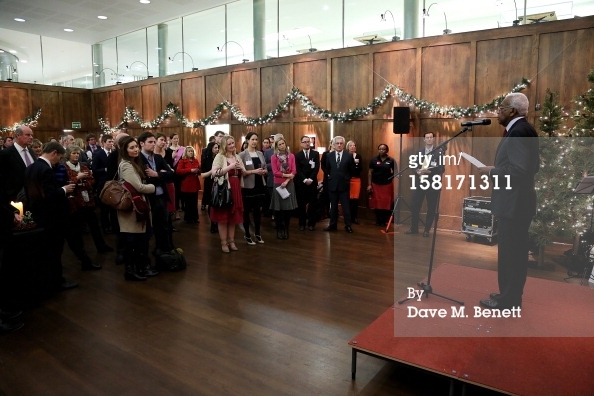 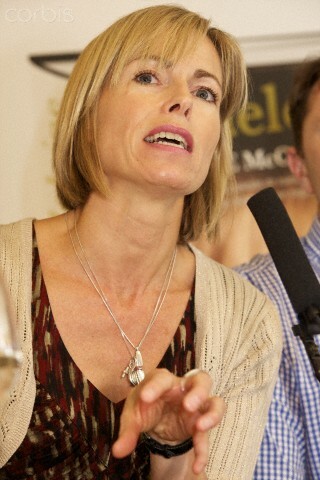 The Merrion Hotel for a press conference regarding the launch of their book 'Madeleine' . 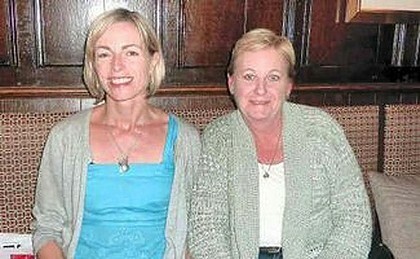 Dublin, Ireland - 13.05.11. 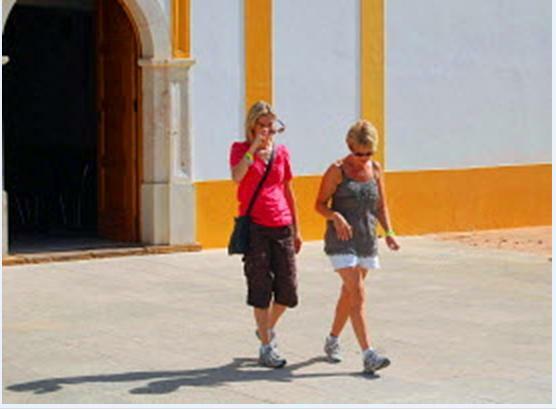 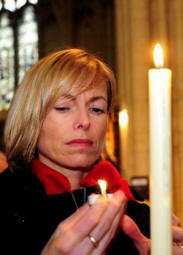 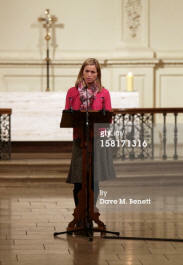 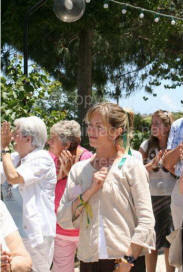 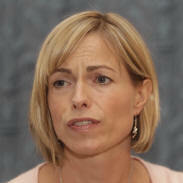 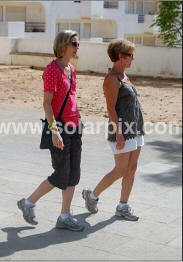 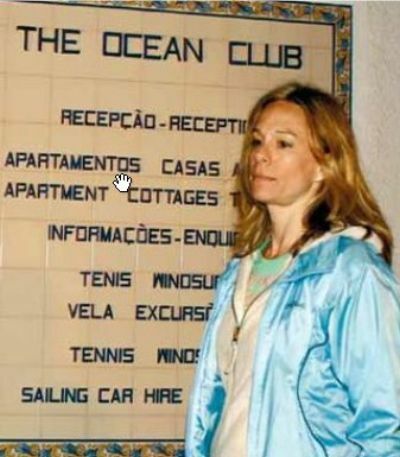 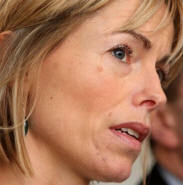 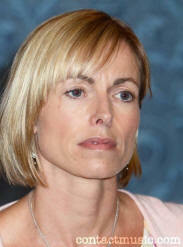 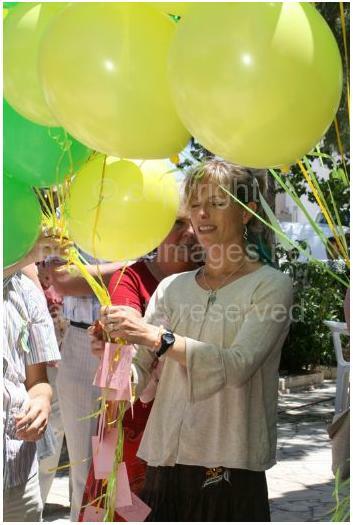 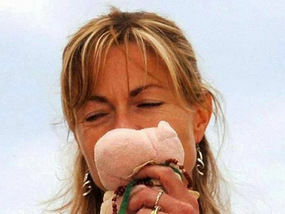 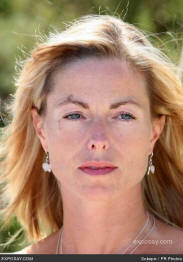 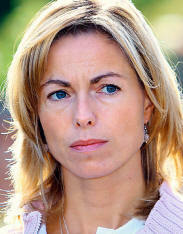 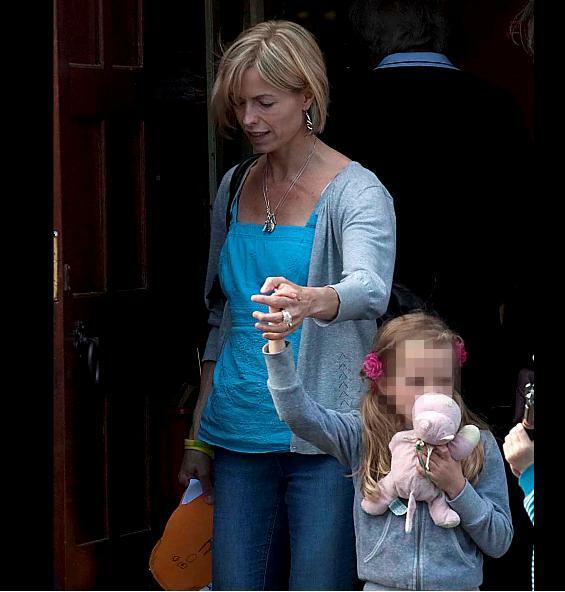 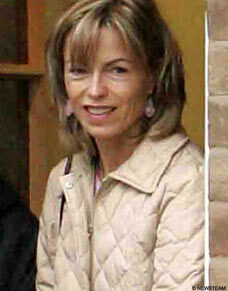 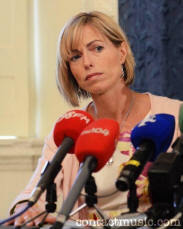 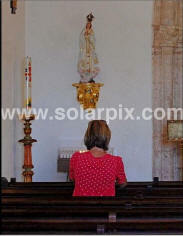 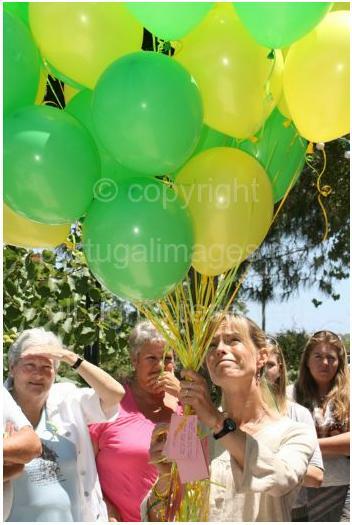 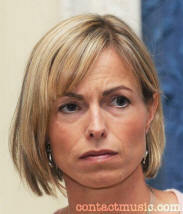 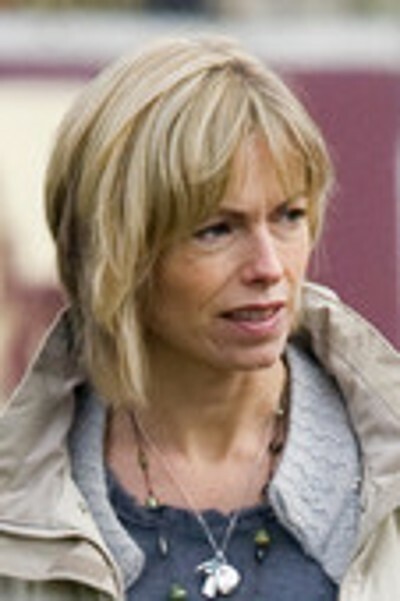 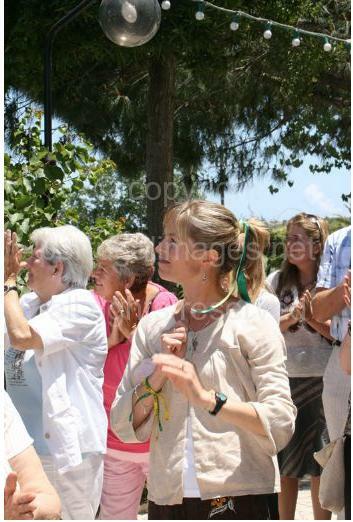 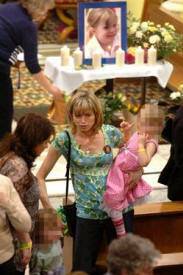 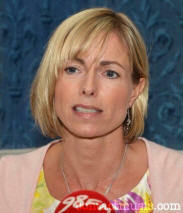 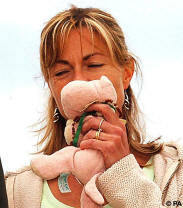 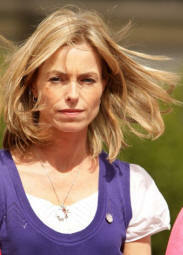 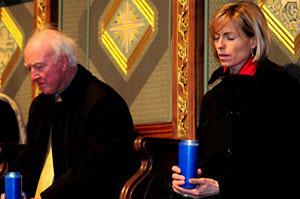 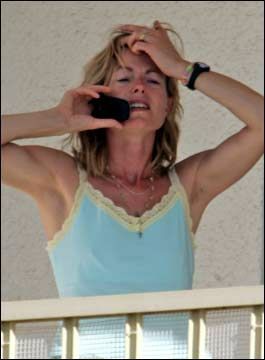 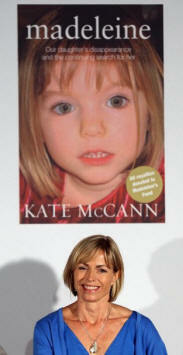 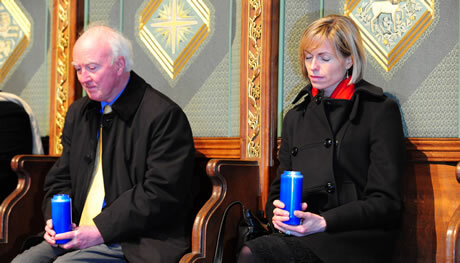 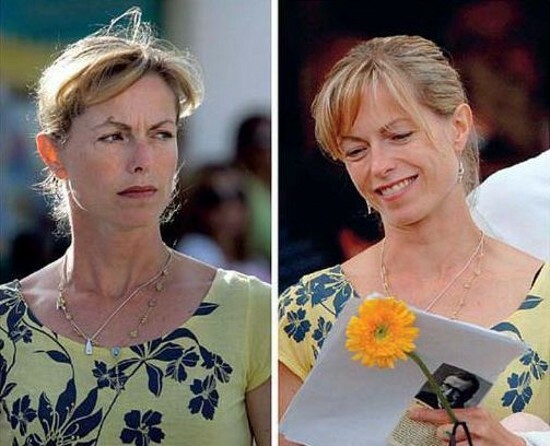 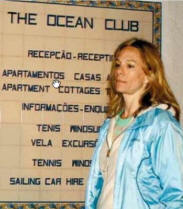 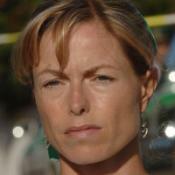 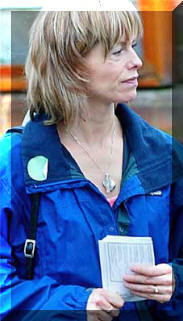 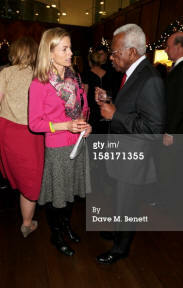 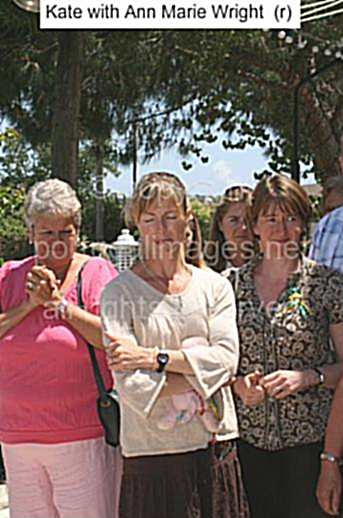 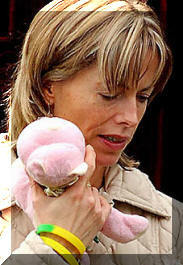 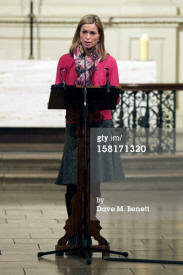 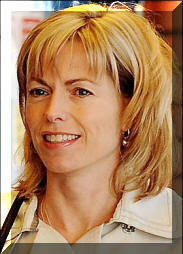 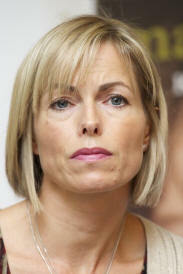 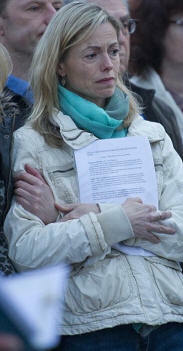 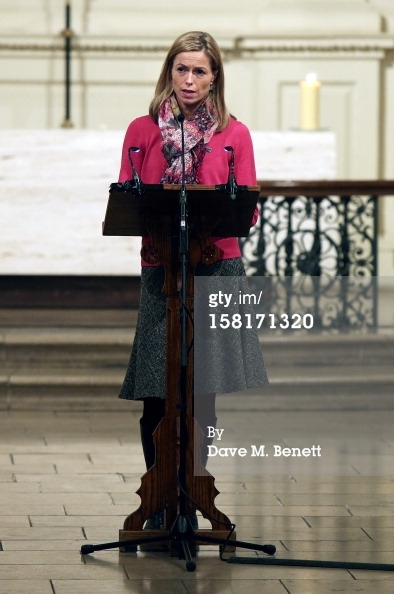 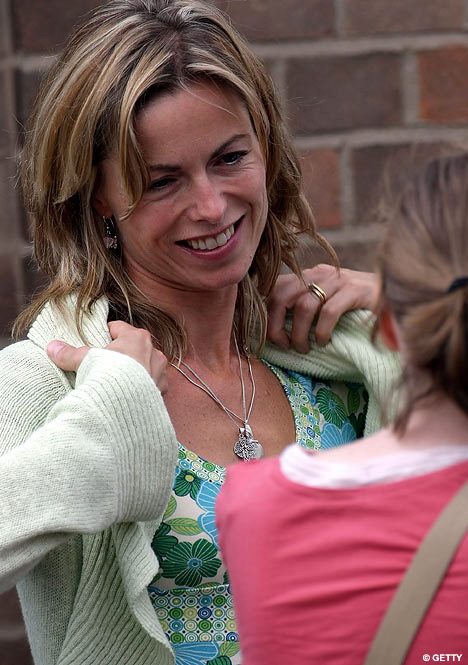 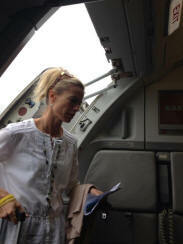 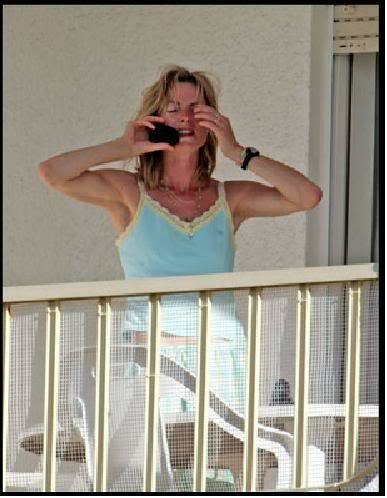 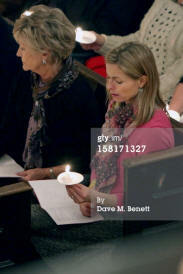 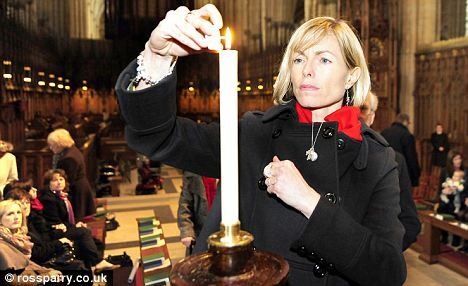 Kate McCann back in Portugal "to pray"
02 Oct 10 Kate McCann + Susan Hubbard PdL . 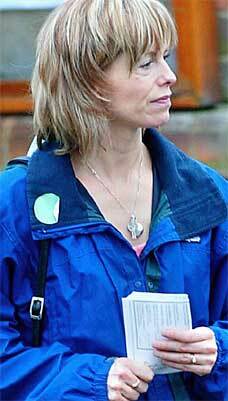 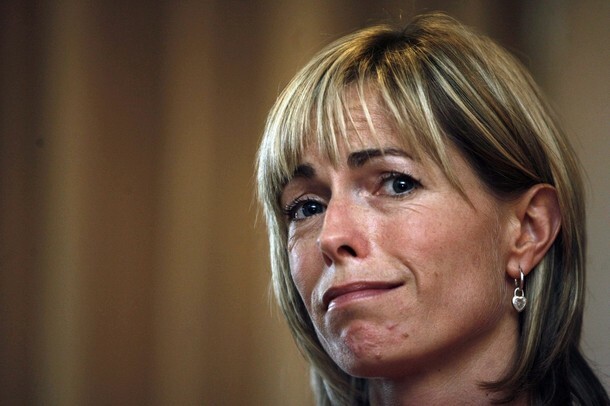 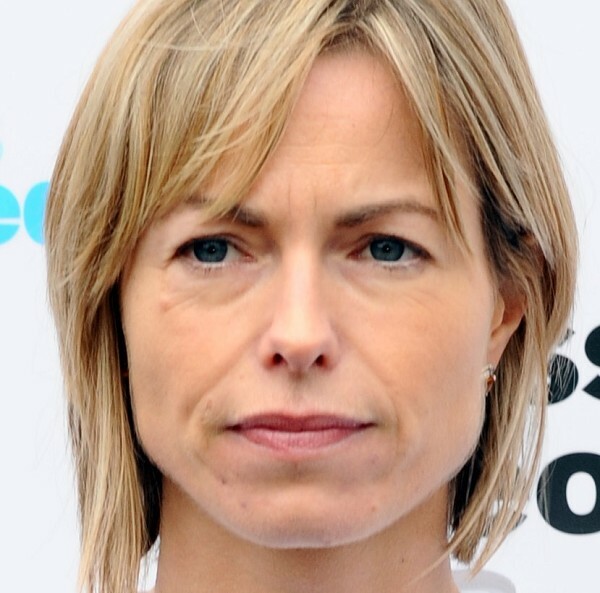 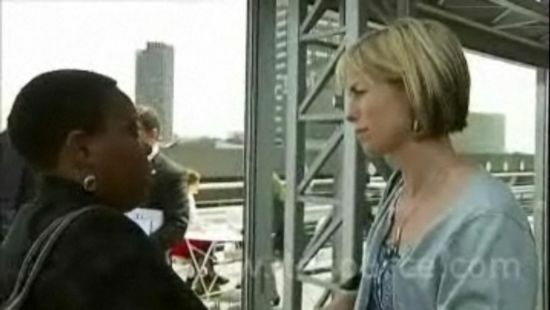 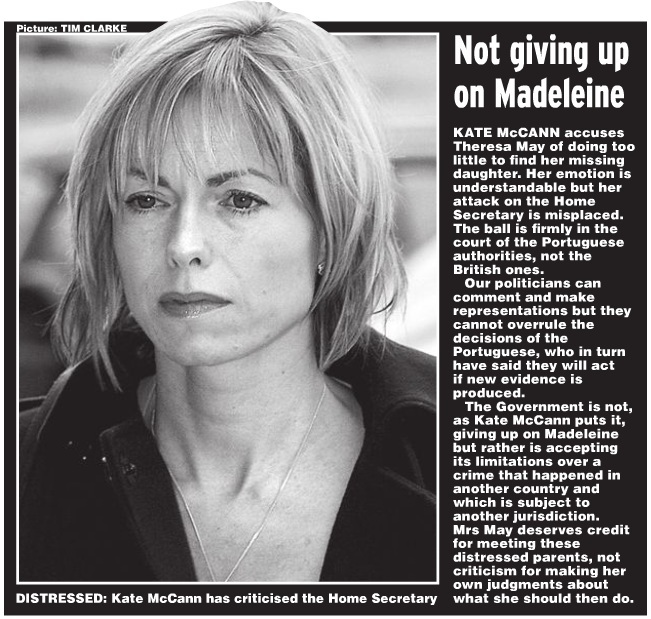 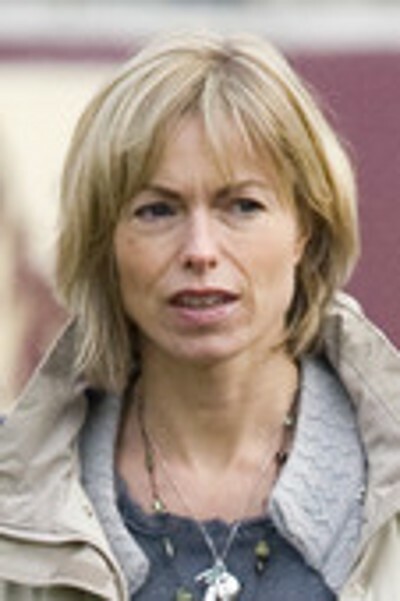 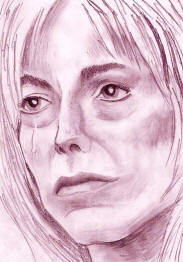 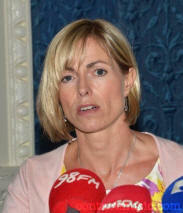 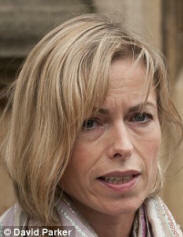 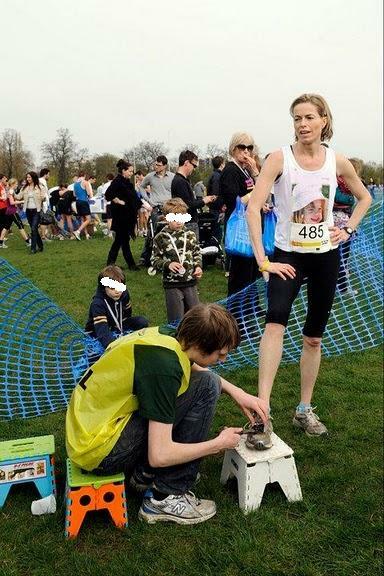 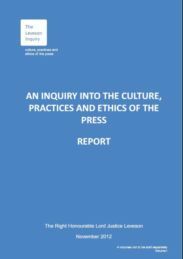 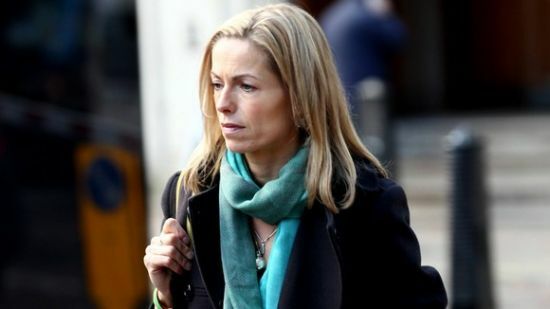 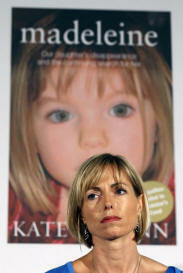 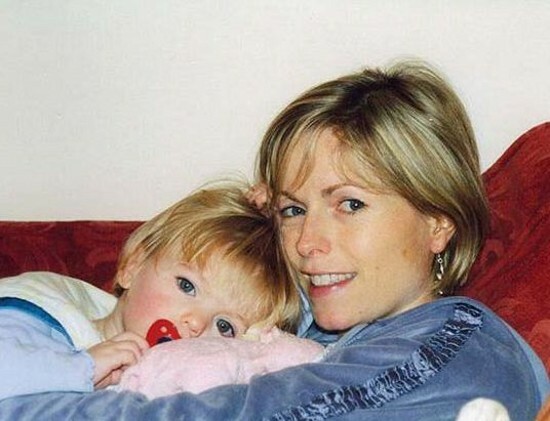 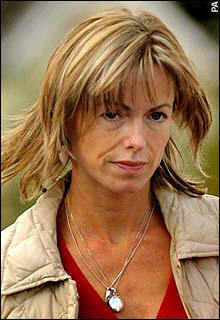 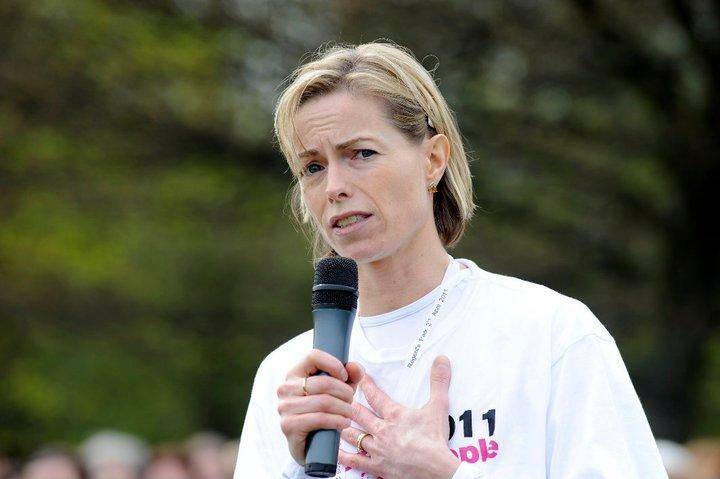 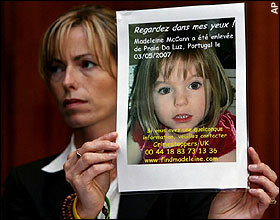 02 Oct 10 Kate McCann PdL . Kate and Gerry McCann speak exclusively about life without Madeleine, the feelings that torment them and the struggle to find her. 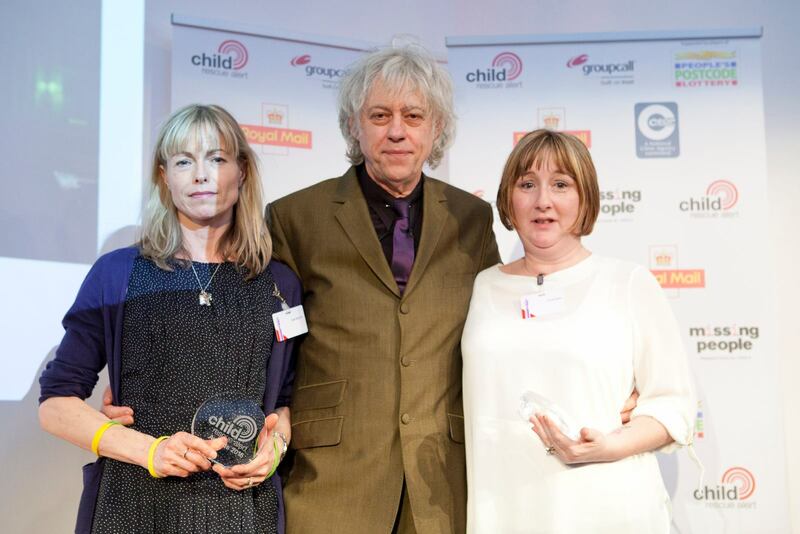 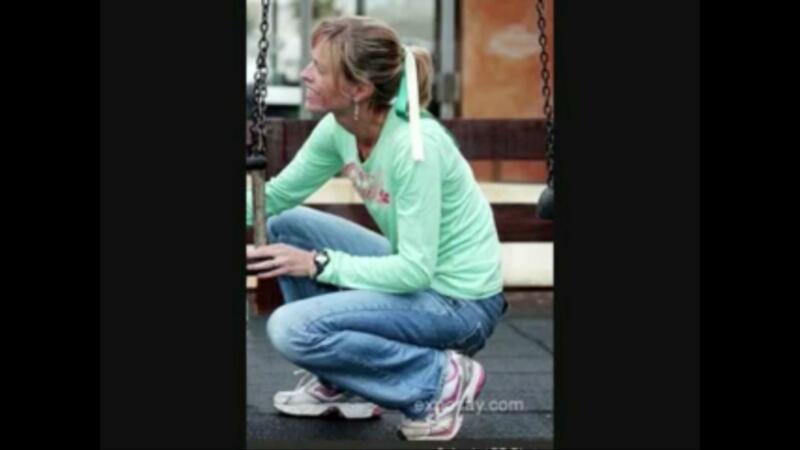 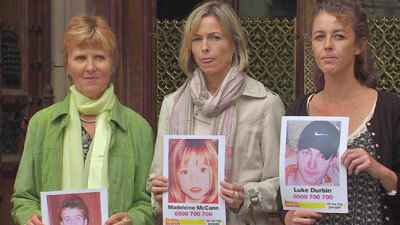 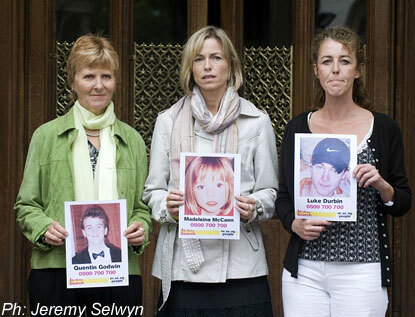 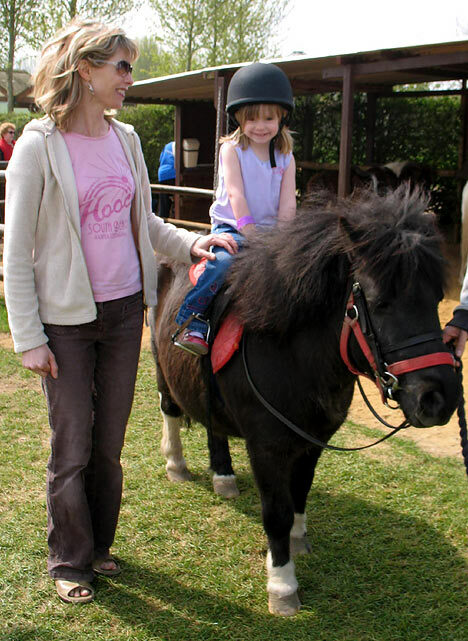 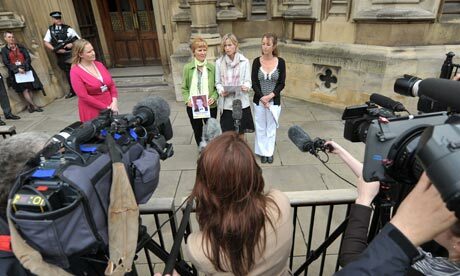 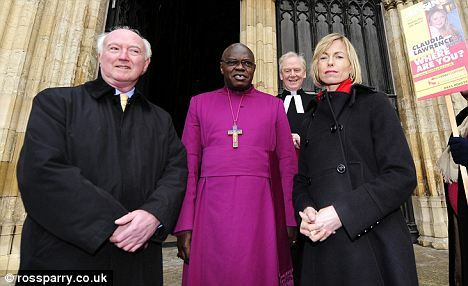 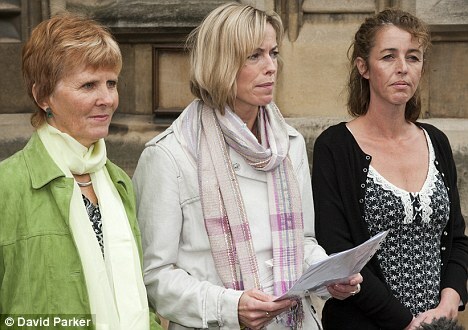 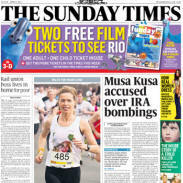 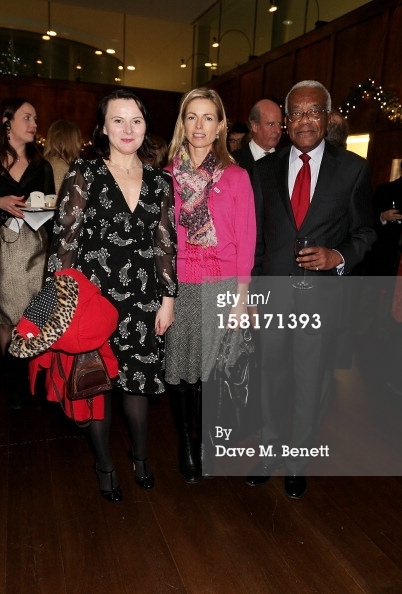 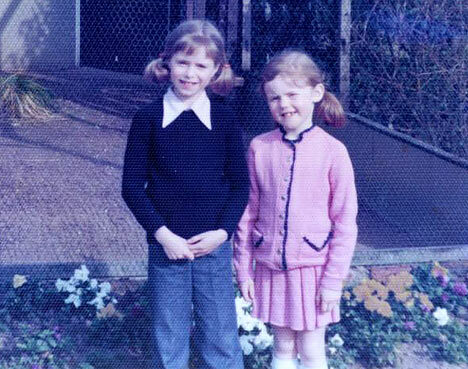 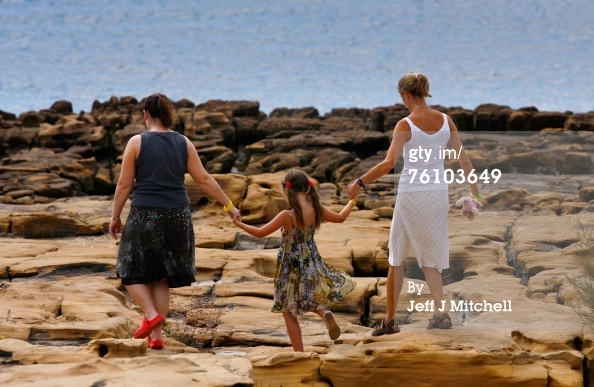 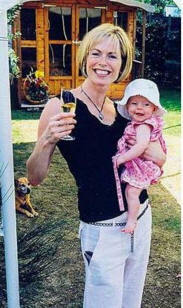 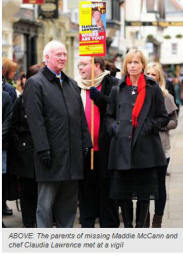 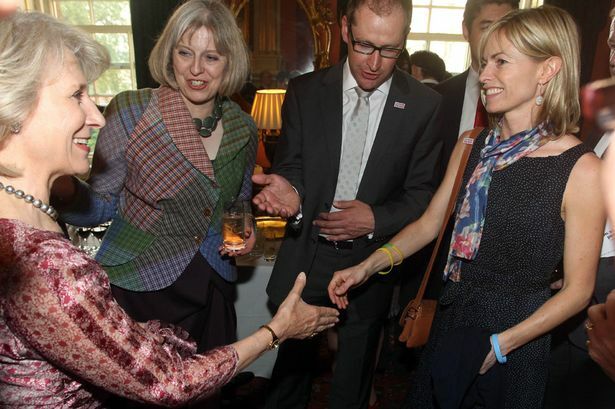 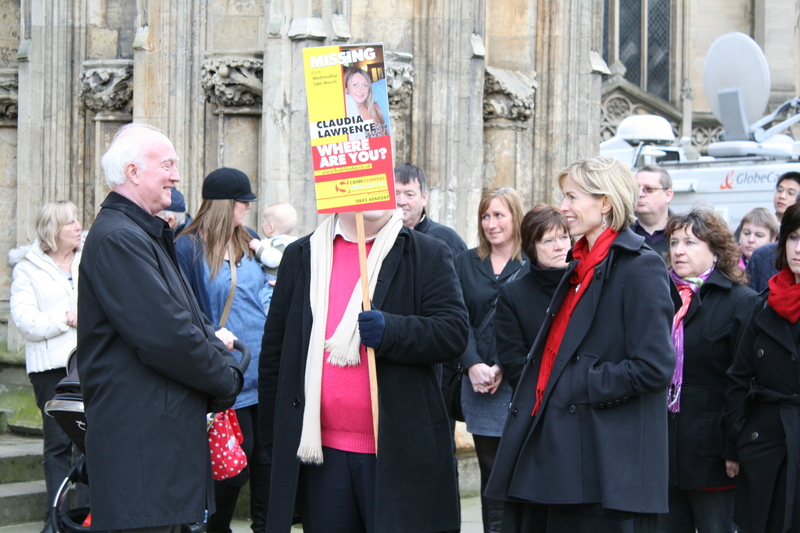 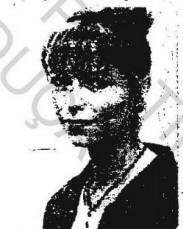 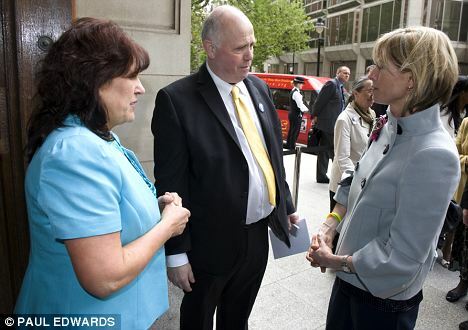 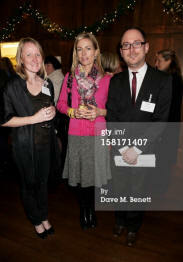 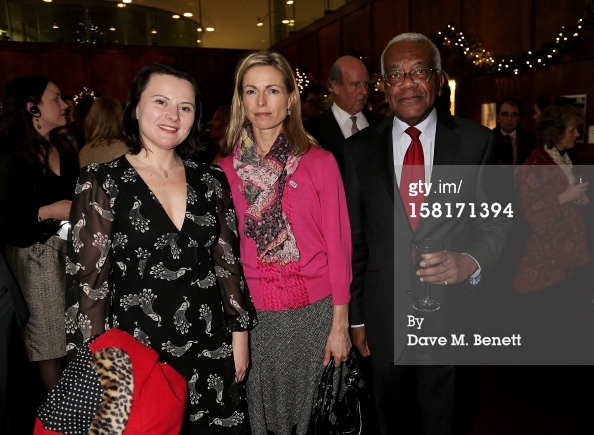 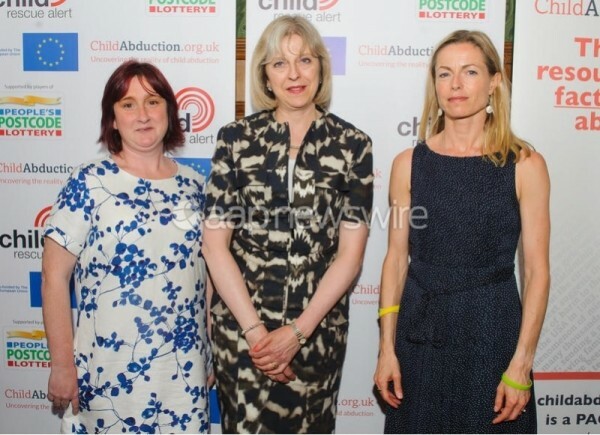 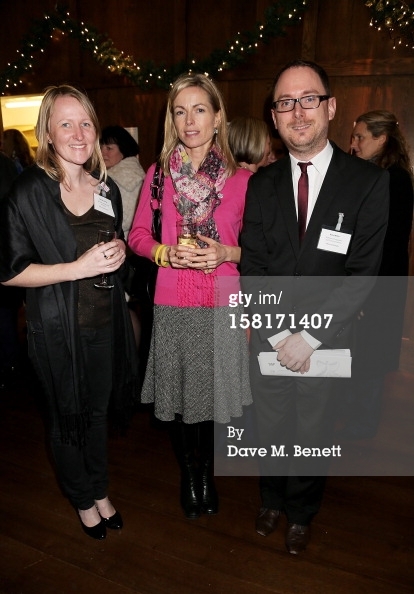 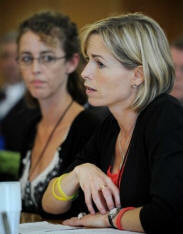 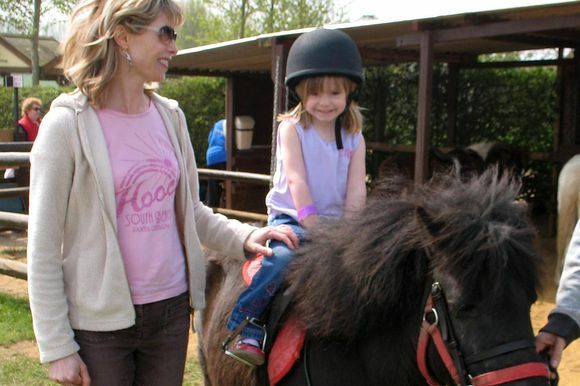 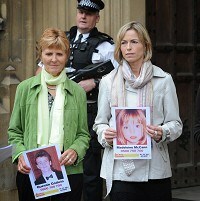 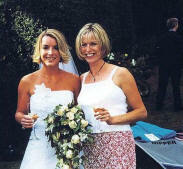 Oct 2007 Kate Mccann, Susan Hubbard, Rothley . 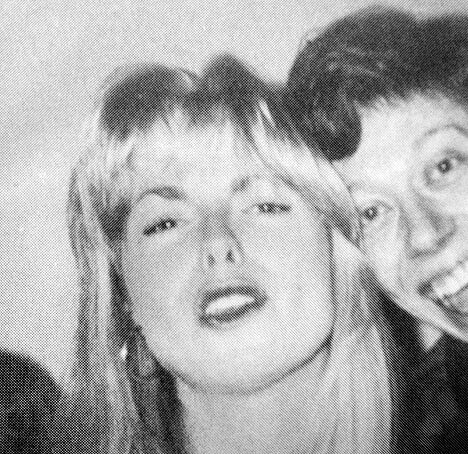 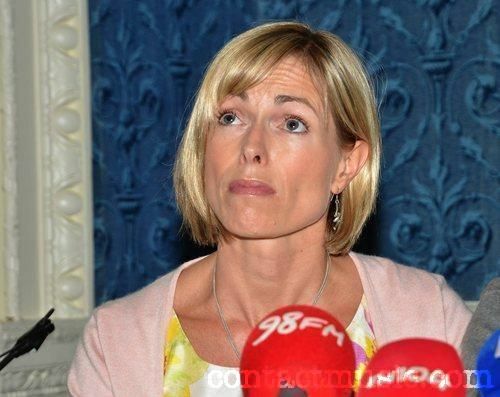 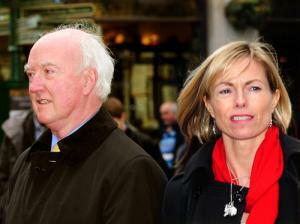 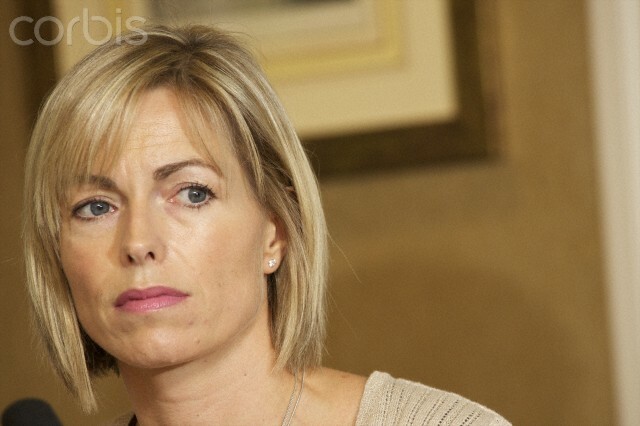 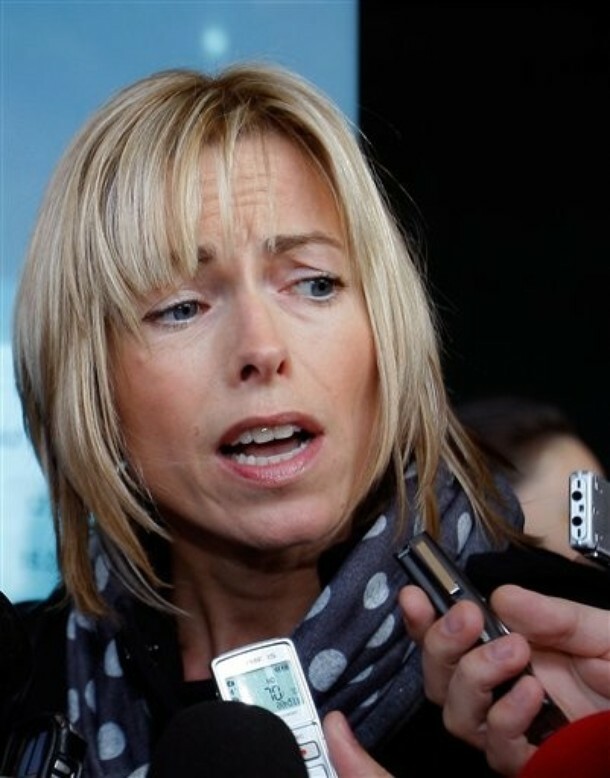 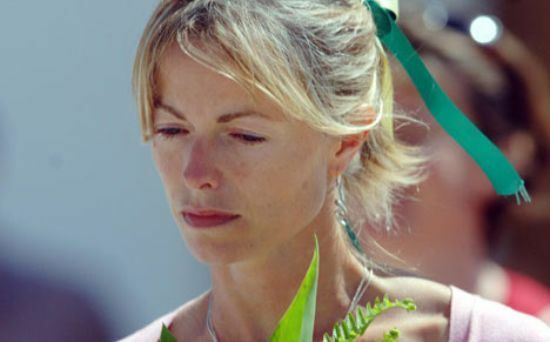 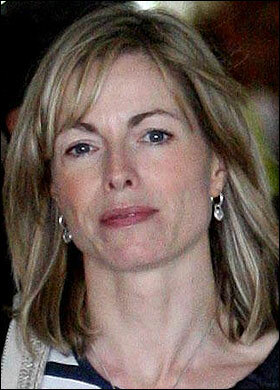 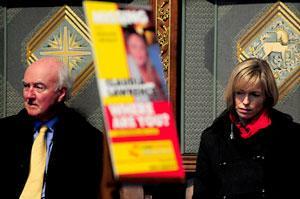 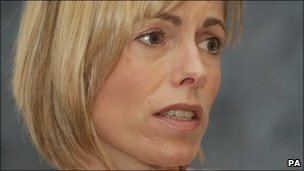 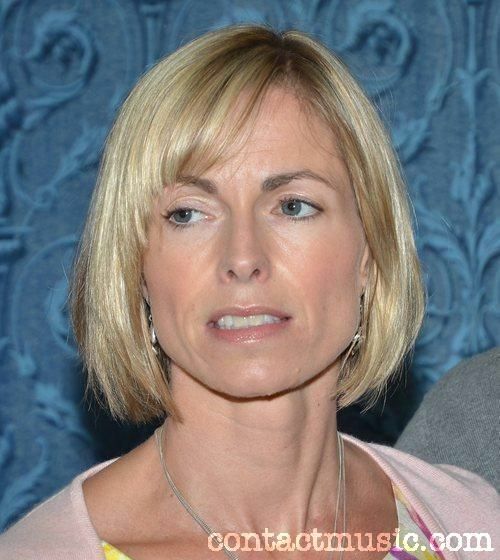 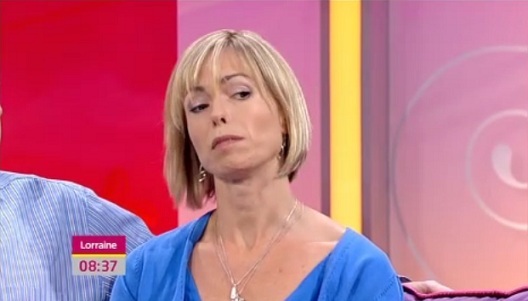 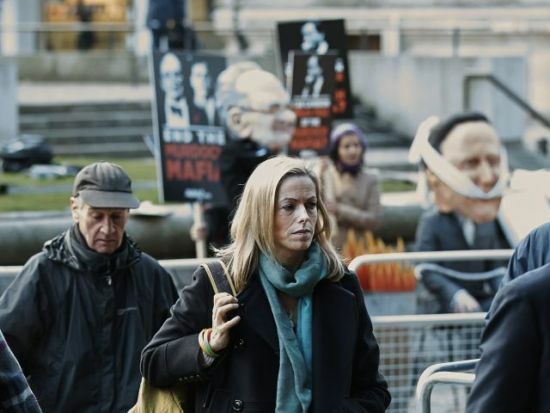 After three long months without their daughter, what now for the McCanns? 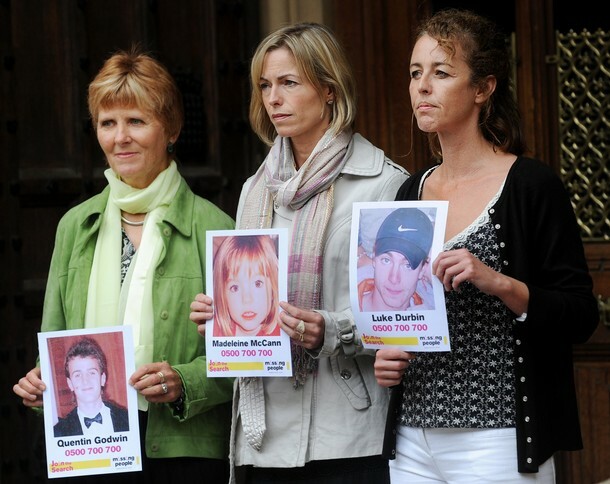 Did they expect me to confess to a crime they had made up? 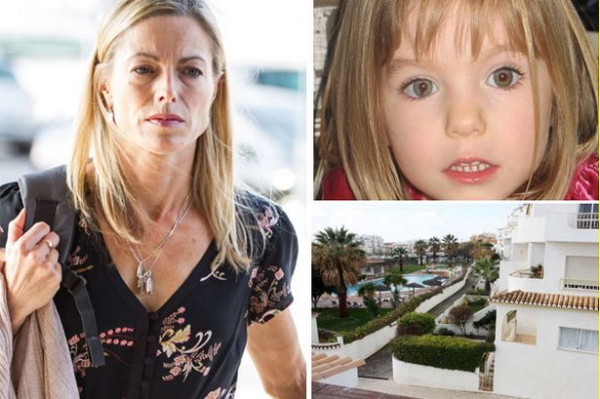 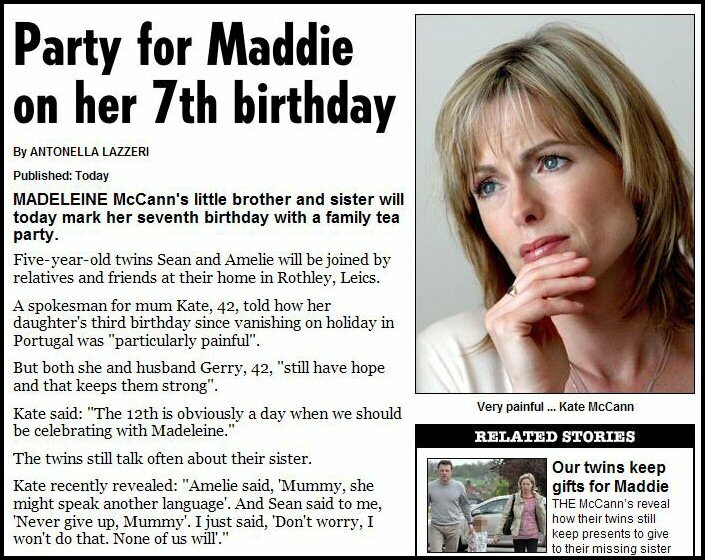 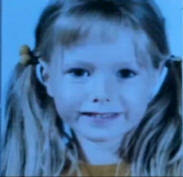 Are Maddie McCann's parents killers? 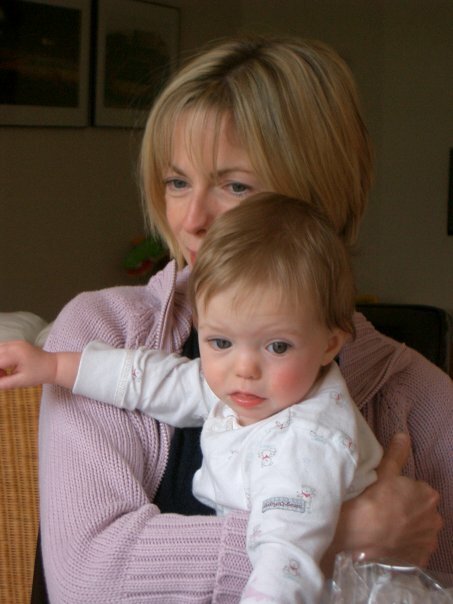 Kate & God Daughter Ellie.